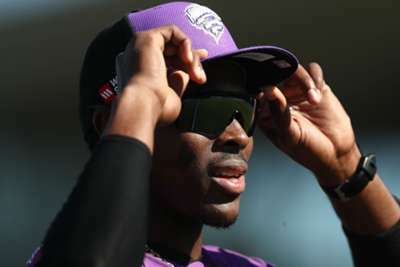 Jofra Archer admits he never expected to be in England contention so quickly after making his decision to leave Barbados for Sussex. Archer signed a professional contract with the county in 2016, opting to turn his back on a potential international future with West Indies in order to further his career. Since his debut three years ago Archer has become one of the most exciting prospects in limited-overs cricket, starring for Hobart Hurricanes and Rajasthan Royals as well as Sussex. Changes to the eligibility rules for England selection means Archer is now available for Trevor Bayliss' side, and he is expected to be in contention for a World Cup place later this year. The speed at which the 23-year-old has developed has surprised many, including Archer – who has a British passport through his English father – himself. "I never knew things would have turned out the way they have so quickly," Archer told Wisden Cricket Monthly. "I said, 'I know, that's fine'. "I only did it so I could play for Sussex as a local. I was a young boy. I knew I'd stand more of a chance playing county cricket as a local than an overseas." He added: "It's really hard to get a chance in Barbados. It's either the first team or no team. There's no second XI, there's no academy really. From under 19 you've just got to try and break into the senior team. It's just a long list. "I was injured at the time so I put myself pretty much to the bottom of that list. No one showed much interest so I just thought I’d try and come to England and give it a couple of years. If it didn’t happen I could always go back and try again."